Hello, friends! This week has been extra crazy (good). Let me just pause and be a super proud parent for a second. Hope started taking gymnastics about 6 weeks ago and has fallen deeply in love. She had gymnastics camp all week this week (which is why I've been running around like crazy and been extra quiet over on Twitter and Instagram), and has powered through the Level 1 class. We'll be signing her up for Level 2 tomorrow and she's all kinds of excited. It makes me so happy to see the joy in her eyes when she talks about it, or when she is (CONSTANTLY) showing me this or that flippy flip. It's adorable! Lucky Jackson is starting her author week soon and I'm so excited to see what she comes up with! If somehow you haven't heard about the 365 Lucky Days project, I would recommend reading up on it. She is an artist I have endless admiration for. If you were to ask me for a list of favorite blogs, Pacing the Panic Room would be somewhere near the top. 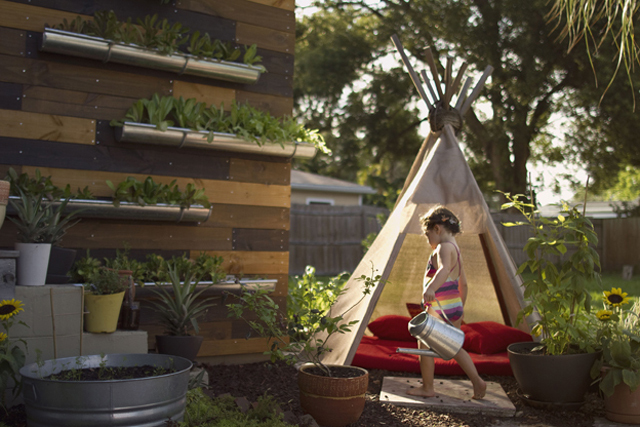 I especially love, love, loved reading about this family's new wall garden. I can't wait to have a place where we can do something similar in the near future. For those of you who mentioned they were looking for a bigger bag that would easily hold a camera, look at this one from ModCloth! 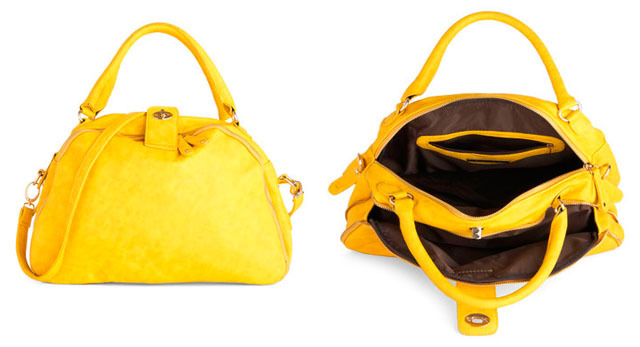 I'm fighting with myself right now because I JUUUUST bought a bag, but this one is pretty much perfect for me. Sunshiney, pockets a-plenty, and shoulder strap = yes, please. My lovely sponsor Ugglebo is having a great sale that has been extended through the weekend. From now until the 24th everything is 30-50% off! This is my favorite pair of clogs on sale right now. Also, can someone please take me to one of these sweet Swedish Midsummer's Eve celebrations? I think that would be so much fun. Tell Hope congratulations, that's awesome! I will also attempt to intervene on this ice cream madness (haha) - if you have a good italian ice place by you, go there! We have a place called Ralph's on Long Island - I am unhealthily obsessed. I did gymnastics when I was younger and loved it. Go Hope! Aww...I used to do gymnastics. :) Yay, Hope!!! Also...can I just say, that I love when I can't sleep and then I see that you've posted a blog entry. It just brightens up my night. :) It's so blasted hot here...there will be no sleeping any time soon. Bleh. Nice! Have a great weekend. I'm a singer with turquoise highlights in my hair. A student at Smith College. A lover of Ireland. Someone who is always looking for simplicity & happiness. I'd love to invite you all to visit my blog. I'm currently in Paris, and I've been doing some traveling around Europe. I'd love to share my travels with you all! I do some fashion posts, some lifestyle posts, some recipes... It's a work in progress, but it's all done with love. such a nice post with a nice mix of artistic inspirations and family life...and that bright yellow bag! how fab is that?! Congratulations to Hope, and wishing her luck for level 2! 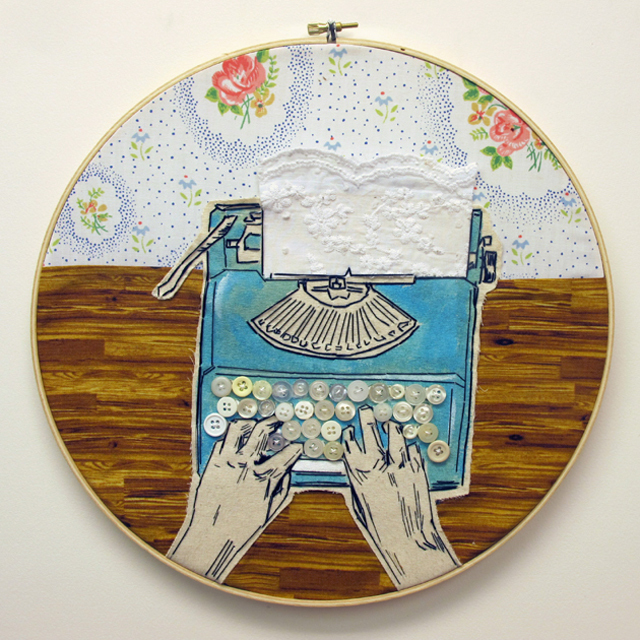 I love the 365 embroidery project, the pieces are awesome, I need to embroider more! That Lucky Jackson blog is soooooo fantastic.